Apple seems to be getting into the 3D business sooner than we think! Apple filed a patent on the 3D glasses, nicknamed as “iSpecs”, a name yet to be confirmed. The iSpecs is designed to work when connected to an iPod or and iPhone. The iSpecs is a smart device with a lens with it to project 3D images. Users can use the iSpecs on the go and need not be at home to create the 3D effect. The glasses themselves are the whole package. The lens would be able to splice the image into two distinct frames creating a 3D effect. 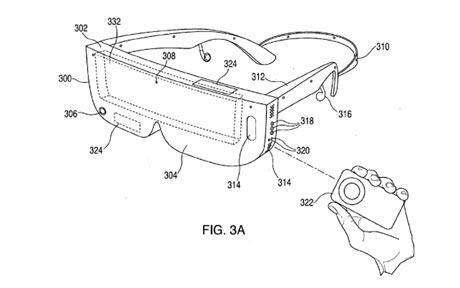 Apple’s patent confirms that the giant is venturing into the small screen 3D world. A camera can also be mounted on the glasses so a live stream of anyone approching the wearer can be displayed. The patent was first filed in August 2008 but plans fell apart only to be brought back to life. Apple was not available to comment on this report. Incidently, Sharp corporation is working on 3D for mobile devices and this might cross lines with any of the mobile 3D plans Apple might have. A user might choose to use his Sharp cell phone as a 3D device while there are no reports if Sharp intends to make 3D glasses to enhance a user’s experience. You can read more about Sharp’s 3D phones here. I can already imagine having those 3D glasses on and playing Battlefield 2! Now thats a game!